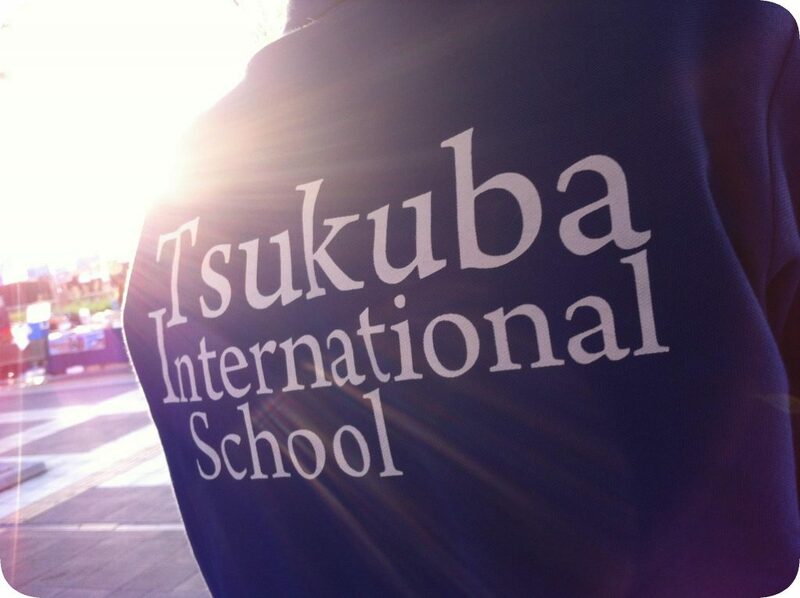 There are a number of ways you can support Tsukuba International School. One easy way you can support us is by letting your friends know about us! Because the population of Tsukuba moves around a lot, it can be hard for us to make sure that everyone who should know about us can find us. So, if you know of any people who might be interested to know that there is a world-class international school in Tsukuba, please tell them all about us and encourage them to fill out an expression of interest form if they have any questions. We have a Facebook page where we post pictures and comments about the activities and events at our school. As of April 2017, over 950 people have “liked” our page. (Not bad for a tiny loghouse school in the woods of Kamigo with fewer than 200 students!) If you haven’t already done so, please “like” our page and share any stories from our page that interest or inspire you. We would really like people to find out about our school organically (because of natural curiosity about who we are and what we do), rather than through costly or intrusive advertising campaigns, so this is one way you can really make a positive impact on our school. We post to Facebook and our posts get automatically sent to Twitter, so they are not always formatted with the right number of characters for Twitter (sorry! ), but if you prefer Twitter to Facebook, you can find us @tsukubaschool. Tsukuba International School (TIS) relies on the kind generosity of the people and corporations in our community. Donations that we receive are used to purchase educational resources and equipment, and to offer scholarships to our students. As TIS is registered as a “special public interest promotion corporation” (特定公益増進法人 in Japanese), donations to the school are tax deductible for individuals and corporations. If you would like to make a donation to Tsukuba International School, please fill out this form and return it to our Financial Officer, then transfer the donation to the following bank account. Please contact us if you have any questions about making a tax deductible donation to the school. We have a library collection of over 10,000 books, but you can never have enough books in a school! If you have high-quality English or Japanese books that would be suitable for children aged 3 to 16, and you would like to donate them to our school, please contact us . We also accept children’s books in other languages such as Chinese, Korean, Bengali, French, Spanish, Thai, Hindi, Tagalog, Swedish, or Nepali. We buy a lot of books throughout the year to support our students’ research, so another way to support our library is to send us Amazon Gift Cards. We tend to use Amazon.co.jp and Amazon.com the most. Bellmarks are little bell-shaped labels on many products that are sold in Japan. Here are some examples (pdf). If you cut off these “marks” from the product and donate them to the school, we can use them to buy educational supplies for our students. This is a nation-wide activity, and most schools in Japan participate in it, so it is very a well-known way to support schools in Japan. The following companies have been very supportive of Tsukuba International School. Some of them will offer to donate to TIS if you mention that you are a “Friend of Tsukuba International School”. Aseno Soccer Club is a sports club that is located in Moriya. Coaches from this club used to visit our school every week in September and once a month throughout the rest of the school year. Some of our students have also received professional soccer training as members of the club in Moriya. If you know someone who wants to learn how to play soccer, please tell them about this club. Big Box is a company that builds loghouses. This is the company that built our beautiful two-storey loghouse-style school building. If you are thinking of building a loghouse in Japan, please get in touch with our friends at Big Box! Blomster Anna is a local flower shop in Tsukuba that has a Swedish theme. Its proprietors are long-time supporters of Tsukuba International School. Their floral arrangements are beautiful and unique. Please say “hi” to Momochan the dog when you go! The Foreign Buyer’s Club is an online shop that was started in 1987 to offer various food items to the foreign population and others who enjoy foreign products. It is now possible to get many items in the regular stores in Tsukuba (such as Yamaya and Caldi), but some things are still a bit tricky to find (such as cheese, diet products, and certain cleaners). Gekidan Kurie is a drama club in Tsukuba and Hitachi. Several students have joined the drama club, and even the principal of TIS has appeared in one of their productions. The staff of Kurie stage a musical at Tsukuba International School once a year (usually in March) involving our Grade 4 students and any other interested students. The Tsukuba team also use the school facilities for their rehearsals. Hashimoto Office helps us with our staff immigration procedures. Mr. Hashimoto is well-known in the Tsukuba international community for his immigration-related services. Juwa is the company that provides our bus services. Mamatone is a volunteer group for young mothers in Ibaraki. It strives to come up with ideas of things that mothers can do “even though they have young children” or “because they have young children”. It is a very active group and they welcome foreign members! Music Plant supplies our students’ violins and recorders. Nostimia is a company that imports Greek foods. If you mention that you are a “Friend of TIS” when you place your order, and include the numbers “1230” when you transfer your payment by bank transfer, 10% of the total of your order will be donated to the school. Dr. Ohno of the Ohno Clinic is our school doctor. Radio Tsukuba (84.2 FM) is our local public radio station. Our students have visited the studio and have even broadcast their own radio shows. Tsukuba Life Support Center is a facility that helps mentally disabled adults gain life skills and independence. The center runs a hot-lunch delivery program. If you live in Tsukuba and you would like to have a healthy lunch delivered every day for the low price of 450 yen, and support a good cause while you are doing it, please contact the center.